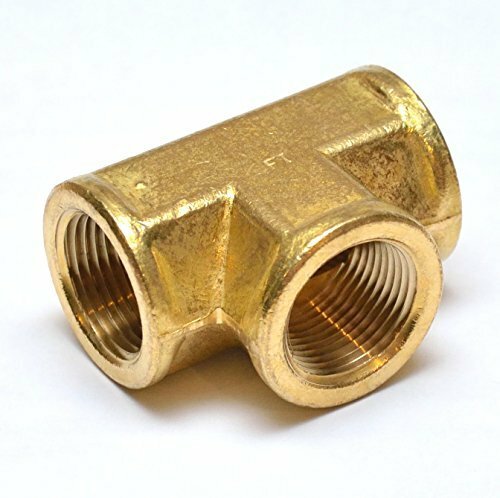 Product Features Part # : 101-E Thread 1 : 3/4" NPT Female Thread 2 (Center) : 3/4" NPT Female Material: Brass Type: Female Tee Fitting " Product Description IMPORTANT NOTE: ""Pipe Thread/NPT Size"" DOES NOT directly correspond to Actual Dimensions of the thread (conversion is required). If you have any questions regarding sizing please contact us and we'll be happy to assist in providing measurement assistance.Quantity: 1 (One) piece. Our quality barbed/threaded connectors/couplers are manufactured FasParts' highest standards. They are perfect for connecting lines for air, water, fuel, oil and inert gases." Brand new sealed in package when applicable. If you have any questions about this product by FASPARTS, contact us by completing and submitting the form below. If you are looking for a specif part number, please include it with your message.